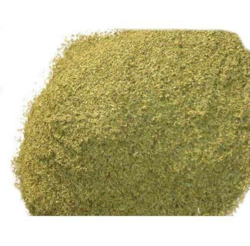 We offer Senna Leaves Tea Cut that is used for flushing the toxin from the body. These are used to cure constipation and helpful in slimming down the body. Our range is available at affordable price to our esteemed clients. When it comes to offer the best Senna Leaves T Cut are the most favored destination in the market. We manufacture one of the best quality Senna leaves tea cut. Our T cut leaves are highly demanded in the cosmetic industry. 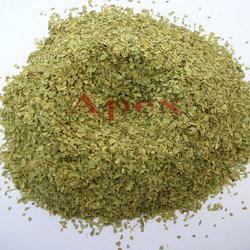 Senna Leaves T Cut is processed from the best quality Senna leaves plucked from Senna Plant. Senna Leaves in T-cut form is also offered besides leaves, pods and crush stems. Features : Reliable Cost effective Natural & pure. We have established ourselves as coveted organization, involved in offering Senna T Cut Leaves. Senna Leaves in T-cut form is also offered besides leaves, pods and crush stems. We offer quality Senna Leaves T Cut that are produced by excellent quality senna leaves. With its stool relax action, these are generally used to cure costiveness. This product works excellently by slimming down the body. It clean out toxins from the body and thus makes one healthy.